A little less than a year ago, I found myself learning how to use the 3D printer at work. It's a Fusion3 F400, and it's been a pretty good machine so far. I've learned a lot from it! 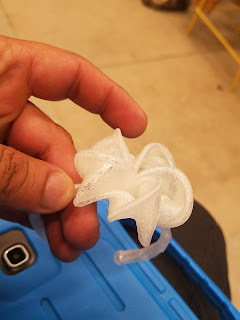 One of the things I've learned is that many 3D printing filaments are "hydroscopic". That is, they absorb water from the atmosphere. 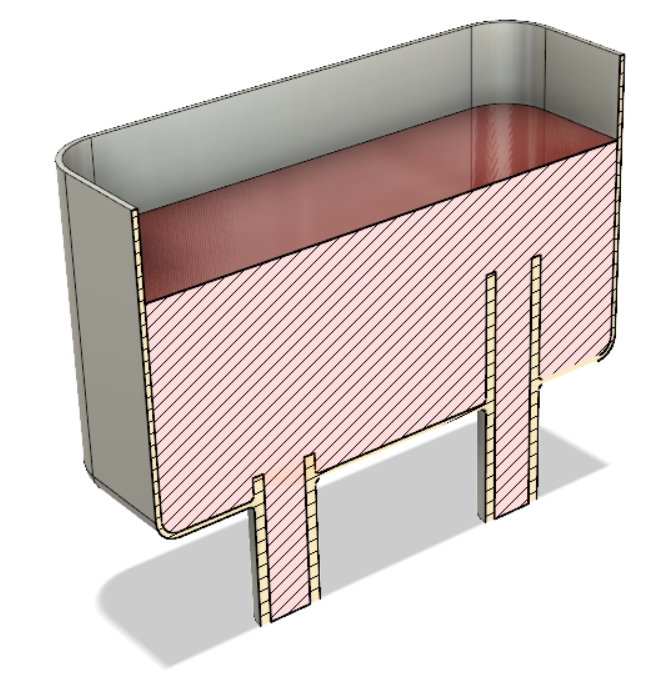 After absorbing water, the part finish will deteriorate as the en-trained water boils as it leaves the print head. That means finding a way to keep filament dry. 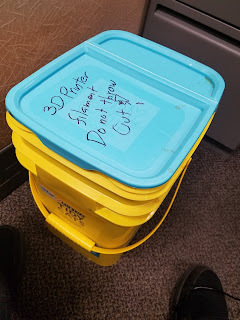 Keep filament stored in it's shipping bags until just before use. That reduces the time that filament is exposed to the atmosphere. 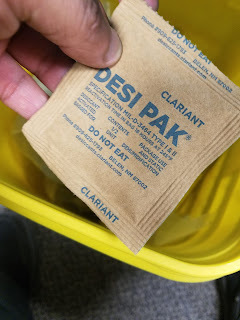 Store filament in containers with a desiccant. Use a filament dryer, if you have one, such as this one from PrintDry. Over time, I found I had several spools of partially used filament with no place to put them, and I didn't have access to a filament dryer. 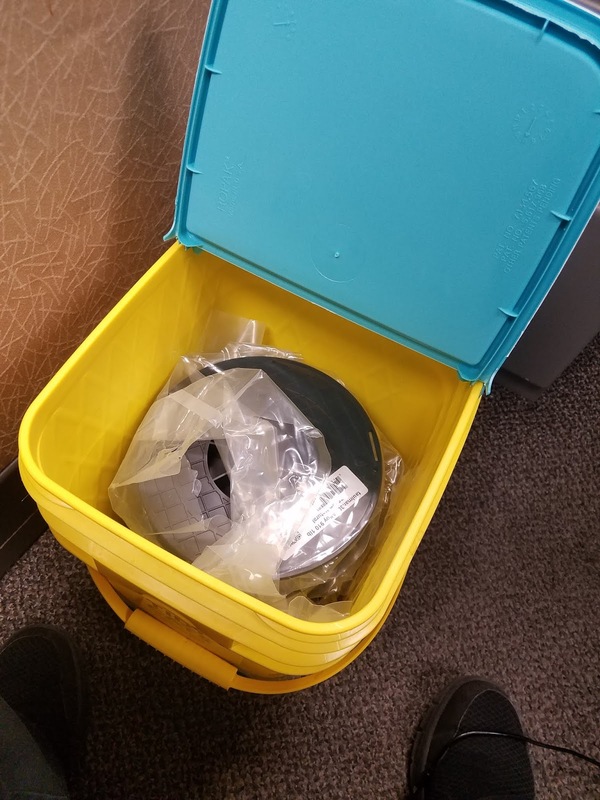 That left me with the option of trying to find a good way to store several spools of filament in a container with desiccant. 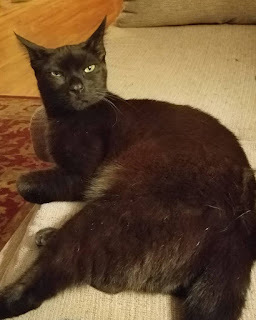 The answer came as I was sitting on the couch, scratching the ears of my cat, "Runtley the Runtling". to the 3D printing industry. 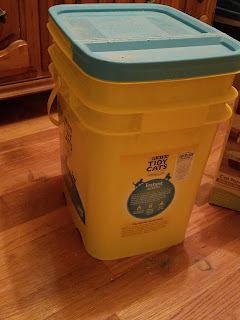 I had an empty 35 lb cat litter container! It's free with the purchase of 35 lbs of cat litter, it's big enough to hold 4 or five spools of filament, and airtight enough to keep cat litter dry, and that's designed to absorb liquid! This can be a dry storage container! So after being emptied and thoroughly rinsed to make sure there was no lingering dust, the container made its way to work. 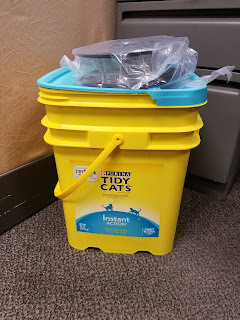 It now resides at my desk with a few bags of desiccant and a few spools of printer filament inside. Tag it so it doesn't get thrown out by the cleaning crew! Hopefully this soles my filament storage issues! Do you have a clever way of dry storing your filament? Leave a comment! And thank you Runtley the Runtling for your donation! In true cat form, Runtley is unimpressed. 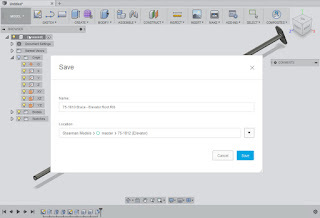 Fusion 360 Has A Title Block Editor! 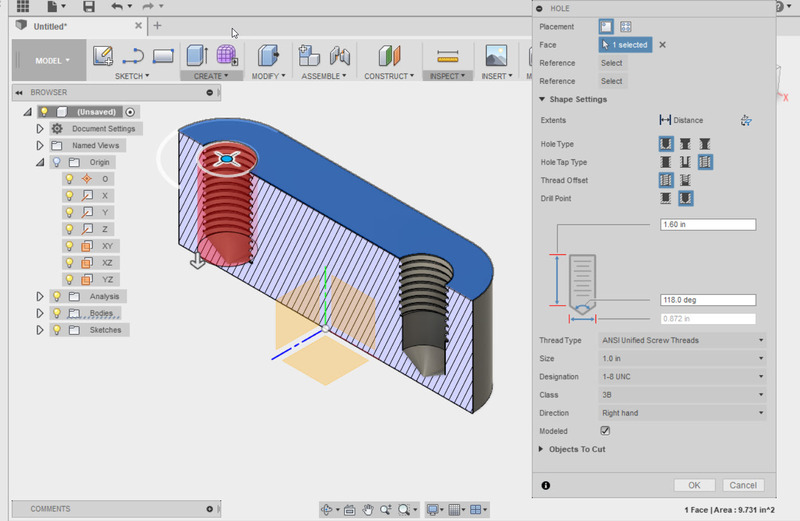 A little while ago, Fusion 360 found itself with a bright, shiny, new Title Block Editor. 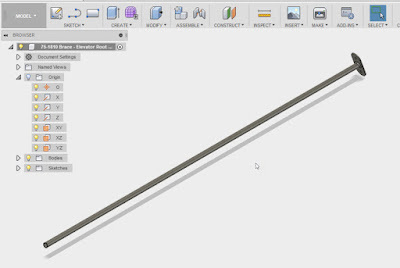 It's not as exciting as some of the other tools (I'm looking at you Generative Design), but it's a tool that's very necessary for many users. how is the Title Block Editor supposed to stand out? So with a little spare time on my hands, I decided to spend a few moments giving the Title Block Editor a try. 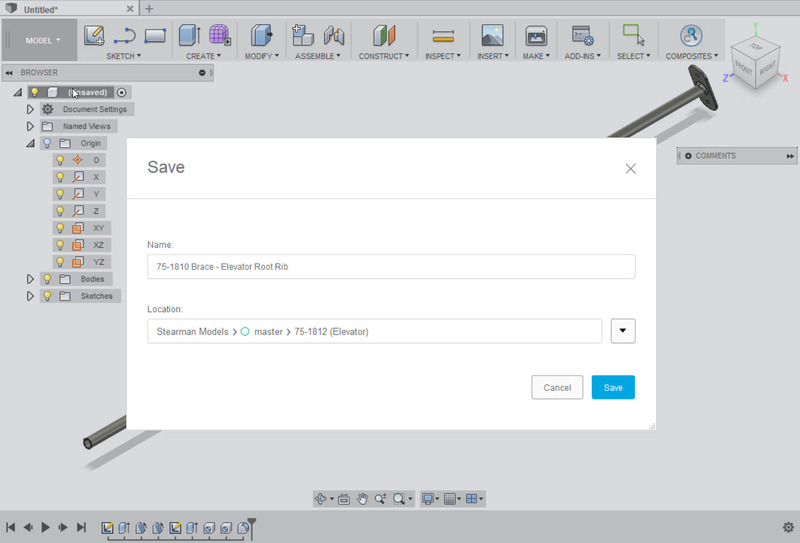 My first step was to create a new template from the file menu. 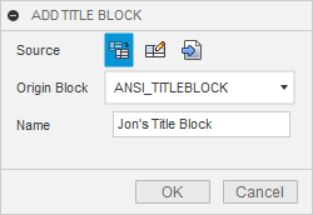 Choose the options for the title block, such as source, standard, and sheet size, and click OK.
Once the template generates itself, zoom in on the title block, select it, right click and choose "Add Title Block" to create a new title block. 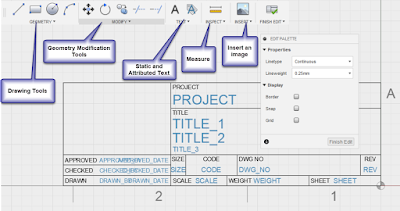 This creates an editable copy of the title block. It's time to give the title block a name, and you're ready to edit. Editing is pretty intuitive in my opinion at least. Sketch, insert images, and place properties as needed to Create the required title block. The tools at the users disposal. For my first tests, I threw an image and a few lines. I also changed the "CODE" section of the title block to "CAGE CODE", and added the "PROJECT NAME" attribute. I do find myself wishing for the ability to dimension the geometry, although when all is said and done, it's a title block, so close enough is probably good enough in this case. 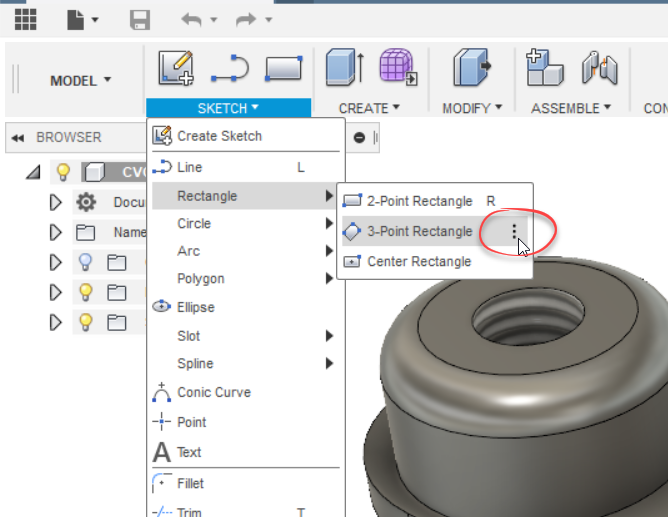 There's also the ability to use geometry and grid snaps, which helps create more accurate geometry. I suppose it's the old Inventor user in me feeling the black hole like gravitational urge to fully constrain everything. The more I practice with it, the more comfortable I found I got. Go figure! 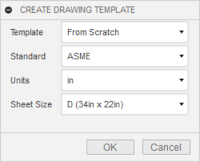 Now save the template like any other document, and the template will be ready to use, with the new title block. 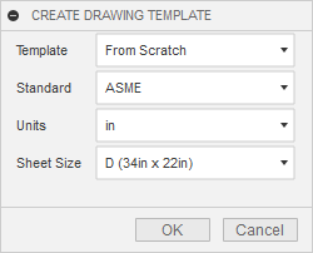 Now when starting a new drawing, choose "From Template", and you'll be able to start using those fancy title blocks I'm sure you'll all be creating! Note that you may have to browse to the location where the template was saved. The drawing can be created and the new title block can be put to use. The auto-populating properties are already populating. The custom title block in use. Personally, I've only scratched the surface. I have more to test and try, and certainly more to learn. Next, I think I'll tackle those customer properties. Stay tuned! With my time consumed by more than one project, I don't get the time to blog as often as I like. 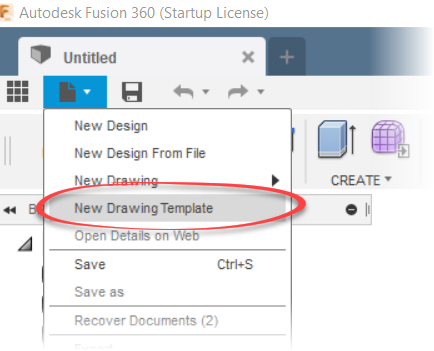 But I wanted to share a 3D "doodle" I mad in Fusion 360. 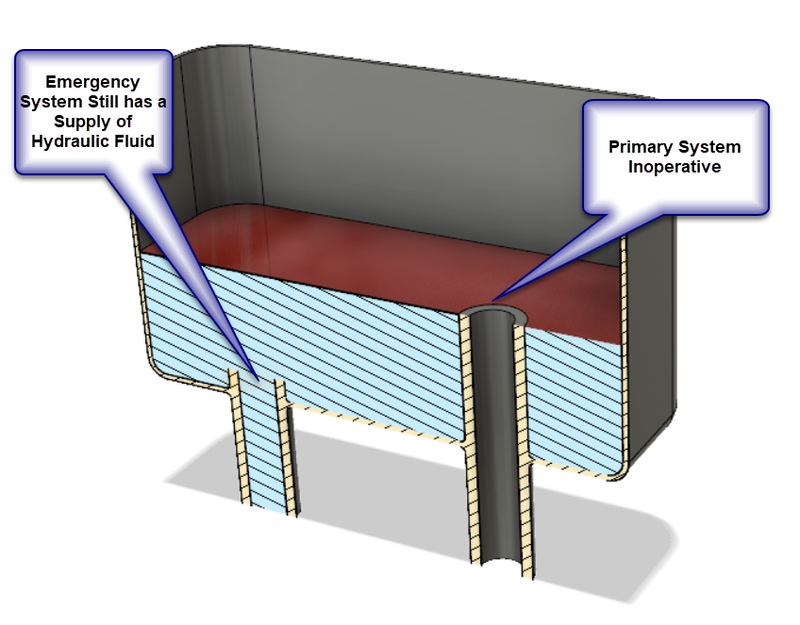 It's a rudimentary hydraulic reservoir, based on the type that has been used for many aircraft for quite some time. 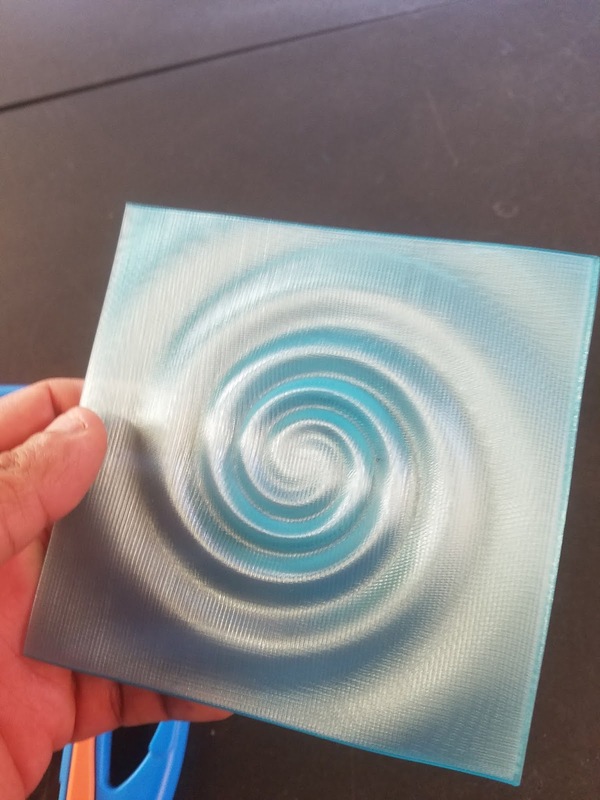 I modeled it because I find a certain inspiration in a simple solution to a problem. 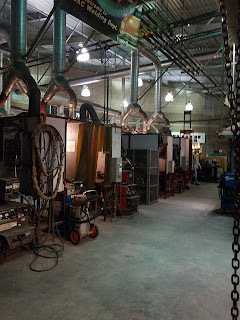 The challenge for this hydraulic system? How is a supply of hydraulic fluid kept for the emergency system, should the primary system fail, and bleed out completely? The solution? There are two intakes in the reservoir. 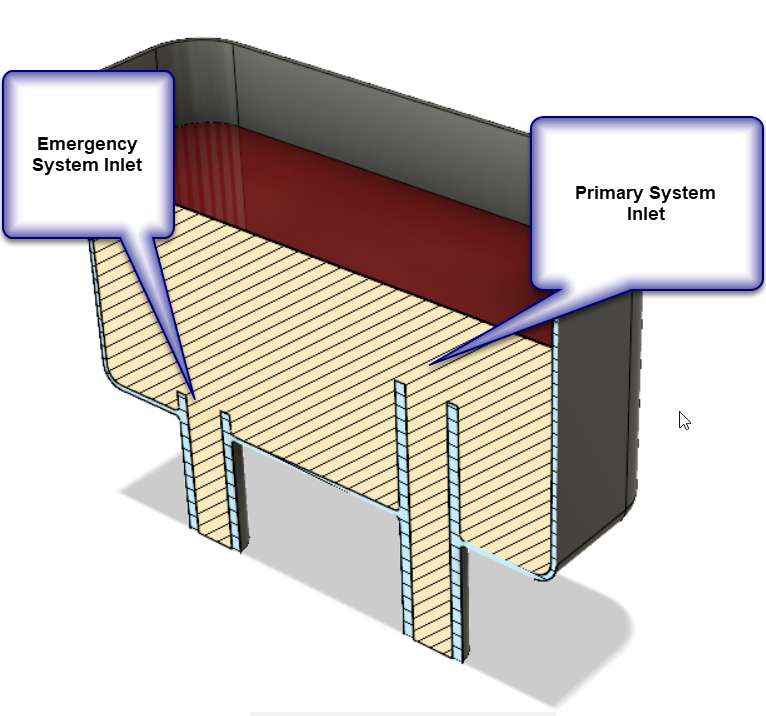 The inlet for the primary system uses a standpipe, which sits higher in the reservoir than the inlet for the emergency system. The result is should the primary hydraulic system completely fail, it can only empty the reservoir to the level of the standpipe. That leaves enough fluid for the emergency system, allowing the pilot to do things like lower the landing gear and flaps for example. can still get you home. It's a clever way to solve a problem! 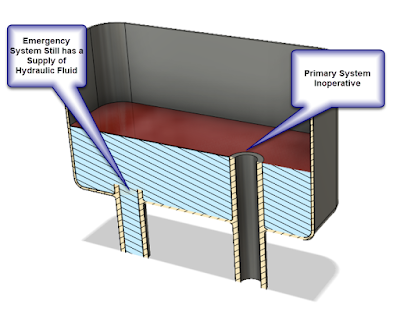 Naturally, there is much more to an aircraft hydraulic system than just this reservoir. There are pressurized reservoirs, hydraulic fuses which close if hydraulic fluid starts flowing above a certain rate, and redundant hydraulic systems found in airliners. If you're inclined, you can read up on aircraft hydraulic systems with the FAA handbooks found at this link. The PDFs are free, so there's no reason not to take a look! 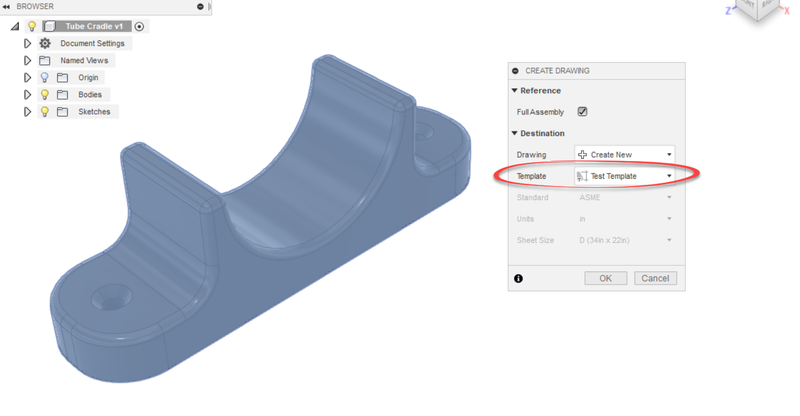 Fusion 360 - Keyboard Shortcuts are here at Last! 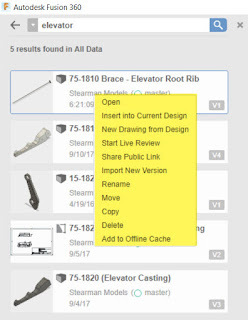 Last week, Autodesk released a new update for Fusion 360, and while there's a few updates, the one that's getting the most attention is the addition of keyboard shortcuts. Now, if you'd like to setup your own custom shortcuts, you have the freedom to do it. Just start a command from the pulldown menu, and click the "3 dots" on the far right of the toolbar. You may have seen that I typed "almost anything" in the above paragraph. There are some reserved shortcuts that can't be changed. Among them are the standard Windows shortcuts, such as CTRL-S for save. 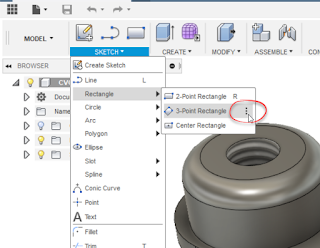 There are also shortcuts reserved by Fusion 360. Man! I'd love to make "S" a shortcut for "Create Sketch"! And if you don't like any of the shortcuts you've created. You can always restore to default! And finally, this wasn't the only enhancement to be introduced in this release, for the rest of them, follow this link here! It's said that we should learn from others mistakes, because we won't live long enough to make them all ourselves. It was in this spirit that I attended the Pasadena 3D Printing Meetup in Southern California. Having picked up running a 3D printing machine recently, I've been trying to do what I can to learn as much as I possibly can. And the group delivered. There were several knowledgeable people who were happy, even excited to share their knowledge. 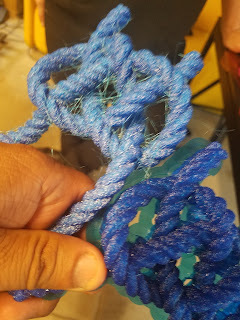 I got some great ideas on different materials to try. 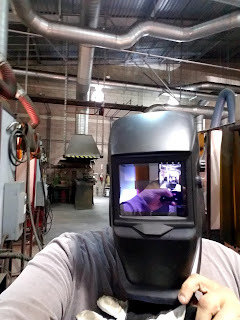 I was even able to share a little of my knowledge with new users. 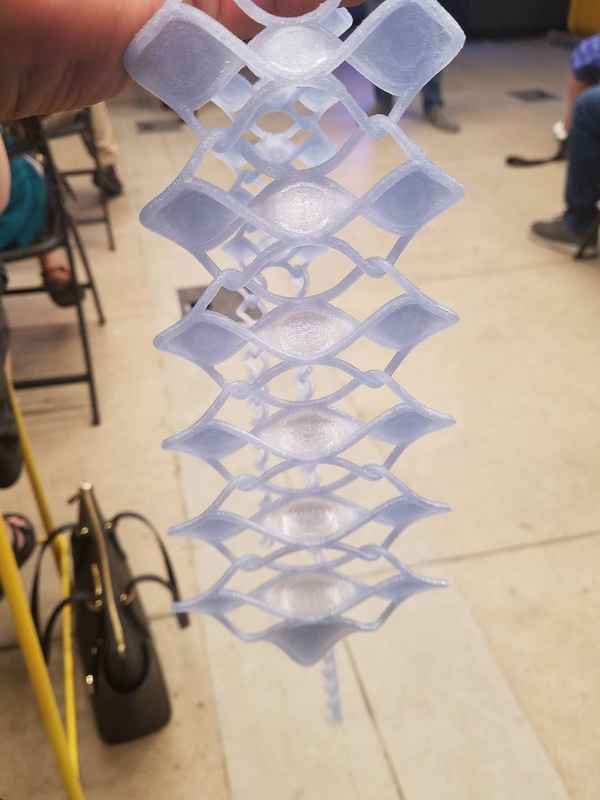 This was followed by a presentation by Tracy and Tom Hazzard, who talked about the trials and tribulations of running a 3D printing business. And they have experience, they run 3D Start Point. Tom talked about building his own support structures, instead of letting the machine build them. His goal was to reduce cleanup as much as possible. There's some food for thought! Probably the single best take away? 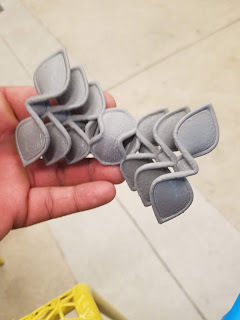 Tom and Tracy run a 3D printing podcast! I've already looked at the first few episodes, and I'll be adding this to my regular podcast rotation! It was well worth spending an evening with the group. It's one I'd encourage you to attend, if you're in Southern California. And if you're not in Southern California, see if you can find a group in your area. Meetup.com can be a great resource for that. Here's a few more pictures from the group. Enjoy! And let's get out there and make some stuff! 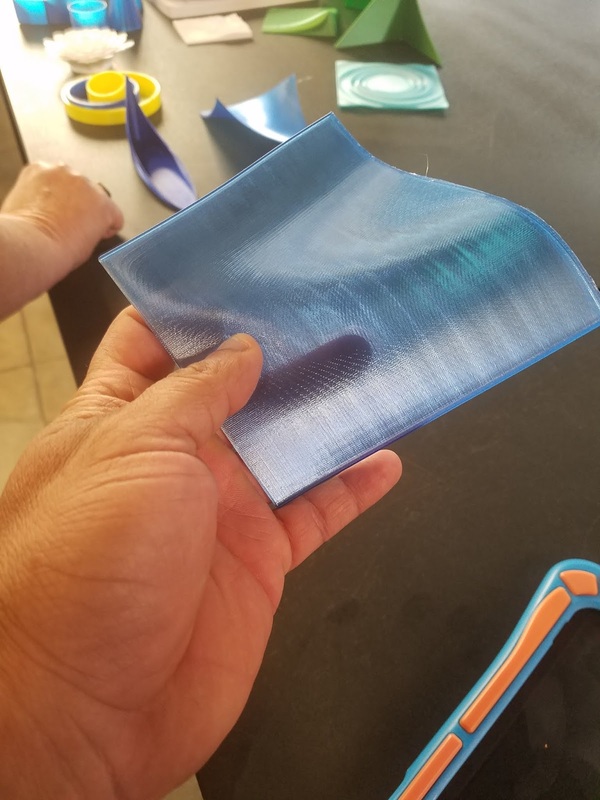 A sample of PETG or PLA. I can't remember which now. I like the. 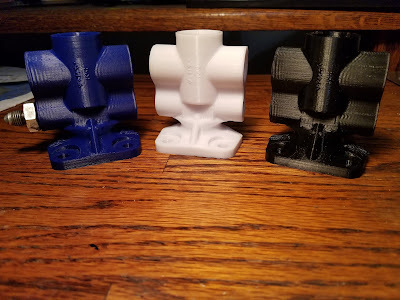 Another PLA/PETG sample. I told myself I'd remember which was which. A 3D printed tie. It's printed in one piece and is wearable. Tom Hazzard wore one for his presentation. 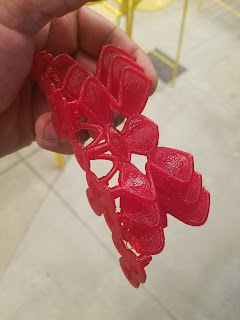 A 3D printed bracelet printed by the Hazzards for their daughters wedding. It was a wedding favor o the female guests. A 3D printed bow tie. This was printed as the wedding favors to the male guests. left has absorbed moisture form the atmosphere, the one on th eright was dried before printing. That filament dryer I've heard about might be worth it. It's been a while since I've posted. New projects and a different path of life have kept me away from working on "bloggable projects". 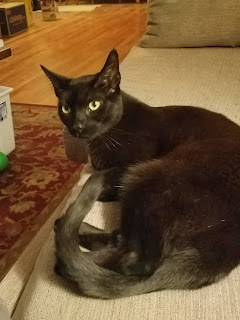 So I now share only the occasional post, and I hope that you find these posts helpful. The other night, I was "doodling" in Fusion 360, and decided to model a "semi-rigid tube", similar to what one might find in an aircraft or some automotive applications. It was good to get a little practice. And I found a couple of things that were worth documenting, at least for me. In real life, a semi-rigid tube of this type is composed of a seamless tube, typically made from aluminum, or stainless steel, although other materials are sometimes used. 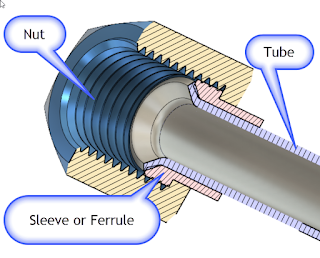 The flare is backed by a sleeve or "ferrule". This reinforces the flare. This design also greatly reduces the possibility of "wiping" damage to the flare, since the nut doesn't turn against the flare itself. So that's why the design is made the way it is! The part isn't complex, it's just a path created using a couple of 2D sweeps. 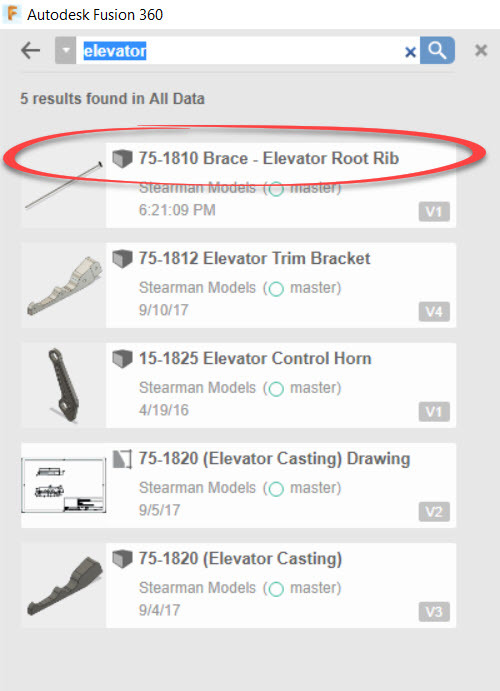 One thing worth noting, I downloaded the flares and sleeves from McMaster Carr, using the tools built right into Fusion 360. 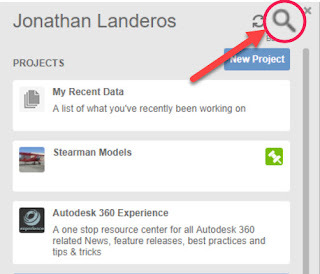 That's a nice feature that simplifies downloading and inserting standard parts. 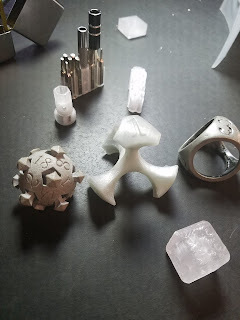 I wrote about that tip here in a post a little ways back. You can check out that post here. And by the way, here's a link to the part. Feel free to download it and take a look at it! McMaster-Carr actually didn't have the fitting I needed. I wanted the fitting in aluminum, which does exist. So I used a steel part and changed the material. Yes. In this case, I'd probably have to go elsewhere to purchase the part. In my case, Aircraft Spruce. Sorry McMaster, I love you, but you didn't have what I needed in this case. The parts from McMaster weren't modeled quite right. There's some interference with the threads and the ferrule, and the flare on the ferrule is actually 30 degrees, not 37 degrees. But how much does it matter? If the purchased parts are correct (which they should be), then the fact that the models are slightly incorrect won't make much difference. But it is noticeable in the cross section. Aircraft tubing is sized using a unique numbering system. The tubing (and hardware) are assigned a number, such as 3, 4, 5, etc. If you take this number and divide it by "16", you'll get the outside diameter of the tubing in inches. So #3 tube is 3/16, #4 tubing is 4/16, or a 1/4 inch, and so on. The hardware is often number the same way. Aircraft tubing is also flared to 37 degrees, not 45 degrees as may be found in other applications. Just in case anyone is wondering why I'm using that flare! If you're interested in learning more about flaring, here's a nice video that shows the process of flaring the tubes. It's worth a few minutes of your day! I started this project out as a bit of practice, as I said, it was an elaborate doodle. But I had the chance to try a few tricks, and I thought I'd share them with you. So go ahead and download the part, and have a little fun with it! Flare Dimensions are from HylockUSA. They also have the dimensions for metric flares! 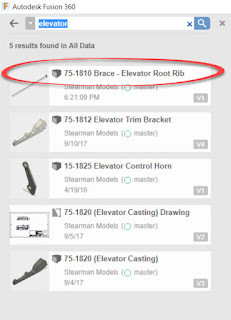 Part Models are downloaded from McMaster Carr. While I don't get to use Fusion 360 as much as I'd like to, I still keep track of it's goings on. Holes and threads in the same dialog box now. I grant you, I don't think much new was added. 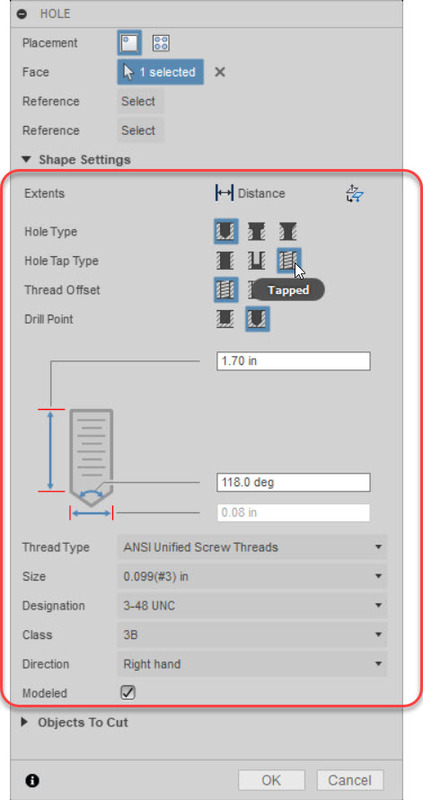 But now, instead of having to create a hole, then go to a separate thread tool to add screw threads, it can all be done from one dialog box. I'm sure there's a corporate buzzword for this, like "synergy", or "paradigm shift", or maybe even "synergistic paradigm shift in the way we shift or synergistic paradigms". But I just think it's going to make adding threaded holes a lot smoother. I'm looking forward to giving it a try when I have an opportunity. While true enough, I don't get to use Fusion as much as I would like, this tool is making me want to make more time for it! 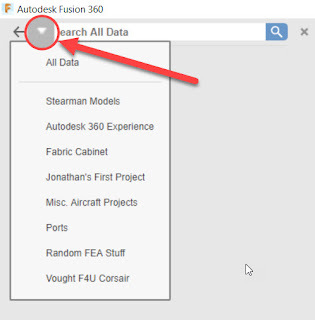 And there's more new tools to check out with Fusion 360! You can see the full list of whats new in this update at the link here! But on this night, it's time for bed, much like my kitty cat "Runtley the Runtling" is telling me! I was also lucky enough that the launch was scheduled for early morning, before the sun had fully risen. So we were able to look up into the sky and see it. Here's the video I captured as we stood on the balcony at work and watched it go. The video quality isn't fantastic, but I thought it was worth sharing. It was an inspiring sight to see! Enjoy, and get inspired too! Wow, it has been a while since I've blogged. In that time, I've been busy in school, where I took a class in Oxy-Acetelyne welding, as well as Tungsten Inert Gas (TIG) Welding, in both steel and aluminum. 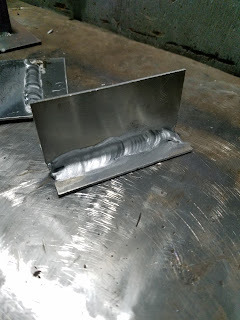 It was a lot of fun, and a big lesson in how much skill goes into making a truly high quality weld. I blew quite a few holes in aluminum trying to get there! You should see how I started! 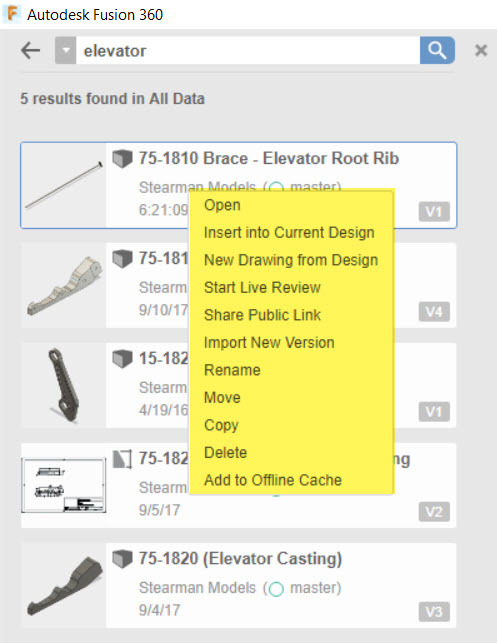 If you spend much of your time building parts in the computer, I'd encourage you to step into the shop and learns what it takes to make computer models reality. As designers, we should all spend some time in a place like this! you see in my welding lens. But in that time, I've come to realize that I've been neglecting InventorTales. My energy has been devoted to work, and school, which means my time with Fusion 360, Inventor, and Vault has suffered. 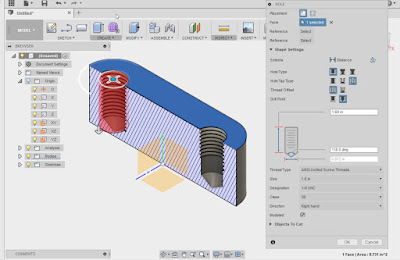 My postings with Inventor have ground to a halt, mostly because most of the work I do with Inventor must remain behind the "Walls of Proprietary Design", and I'm not able to share my lessons as easily. And I've concluded it's time to step back from it a bit. This isn't the "Farewell" post. I'm not shutting the blog down, I'll continue to maintain it for the foreseeable future. I've been fortunate enough to provide information that's been helpful to the community. I hope it continues to help in the future. 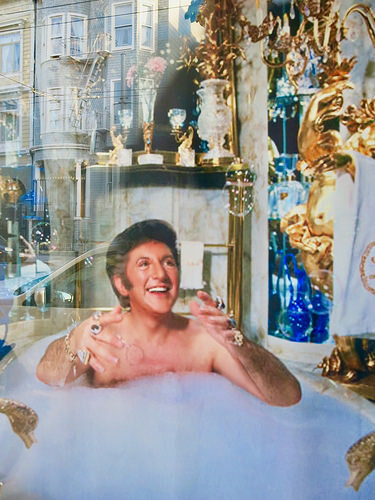 It's been a great run for the last few years, and while I'm not going away, I'm going to admit it's time to take a "mental sabbatical"
I intend to continue to post occasionally, and share some of the new lessons I've learned. Thanks for a great few years, and I'll be seeing you out in the 'Verse as I discover what new form the blog should take!